Most of the cases today are made of brass with around 70% copper and the rest zinc, (steel cases are made too but only for army use in some countries). Whatever type of case yours cartridge use can be divided in three major parts. The head, the body in the middle and the neck. The head holds the primer and has extractor grove, the body holds the powder and the neck holds the bullet. Primers can be found in different types Boxer and Berdan. 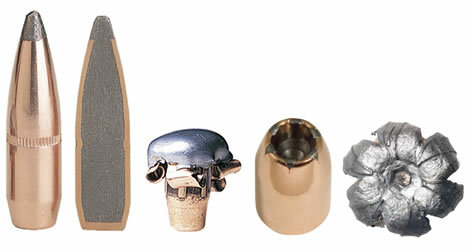 Different diameter for use in small or big cartridges, handguns or rifles and if they are standard, magnum or match type. Do not let all this confuse you, your cartridge is intended for one of those primers and it’s easy to choose from your favourite manufacture. When it comes to cartridge cases, they can be divided in many different types. Some of them are easy to find some of them a bit harder and others you can’t find at all, you want them then you have to make them. Not a big problem, ‘cause that case share its head size with others that’s still in use today and manufactured. Remember that cases are made of brass so they can be remodelled; steel cases are only for army use and not for handloaders. 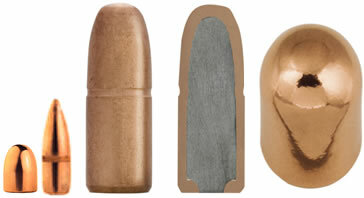 Rimmed cases This is one the oldest type, 45-70, 30-30, .38 Special, .44 Magnum are a few rifle and handgun examples. Semi-Rimmed cases This one is a between, .32 ACP for handguns and .220 Swift for rifles are good examples. Rimless cases The classic design, most used, .308 Winchester, .30-06 Springfield and 9x19mm are examples for rifle and handgun cases. Belted Rimless cases this one is called mostly Magnum today and started with the .375 H&H cartridge (The Queen of Africa). They had a rimmed case and moved the rim a bit forward, in that way the case was easier to use in a bolt action magazine equipped gun. Rebated Rimless cases This type of case is when the cartridge designer wanted a wider body to hold more powder but same diameter in the rim so the case can be used in ordinary guns, a good example of this is the .284 Winchester for rifle and the .50AE for handguns. Straight body or slightly tapered like a 45-70 or necked shoulder case like .308 Win. 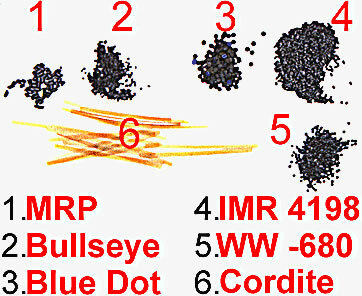 The burning rate of a powder can be controlled with the grain shape and often the smallest grained on is for the smaller cartridges, big long grained is for big cartridges. Use only the powder that the loading manual says you can use for your cartridge/bullet combination. DO NOT try to mix powders or substitute one for another. Only store them in the original canister, away from flames and water and make it’s a rule to only have one powder at a time on the loading table. To use the right tool for a jobb, that’s a must if we want to score and it doesn’t matter if it’s on paper target, hunting or war. In here we gonna look at the different bullets we can buy, jacketed ones. You can found bullets that are for competition only, (never use those for hunting) for plinking and target shooting and pure hunting bullets. Varmint hunting bullets have to expand quickly on the small animals that they are used on and hunting bullets for example for African hunting must withstand the toughness of that specific animal. Use the right bullet for the shooting you gonna do if you want to be successful. Before we dive in the reloading process lets take a look at the names of the cartridges and what hides in there. Cartridge designers can’t cooperate with each others; therefore we got names that sometimes can be really confusing to shooters and particularly handloaders. From the beginning of metal cartridges we have one named 44-40. The first part stands for the diameter of the bullet (you wish? Today that cartridge uses .427" wide bullets) and the 40 stands for the amount of powder in grains. The venerable 30-06? .30 stands for the bullet diameter (.308) and the 06 comes from the year 1906. Confused? Hmmm, let’s go on, it’s going to get worse from now on. The old 28-30-120 Stevens, what about that one? The 28 stands for bullet diameter, this was the first commercial .284/7mm cartridge in the US. 30 grains of powder and a 120 grains bullet, voila!!! 6.5x55 Swedish, the last number, 55 is the case length in mm and the 6.5 is the smallest inside diameter in the barrel, the bullet is .264 in inches and 6.7 in mm. 8x57 with or without letters afterwards? Well, 57 is the metric length of the case and the bullet can be everything from 7.8 mm/ .307 in inches and up to include 8.2 mm or .323 in inches. 7mm TCU stands for a cartridge in 7mm/.284" bullet diameter and designed by Thomson Center and Wes Ugalde. If a cartridge has the letter R it’s probably stands for Rim type of case but not always. If it reads Magnum? Then maybe the case is of the Magnum type or the cartridge designer made a faster (read more powder) cartridge of an existing one only with the change of the powder in it. The letter S normally in older cartridges stands for the bullet type, S like Spitzer but it can also stand for Shoenauer in the 6.5x54 MS. 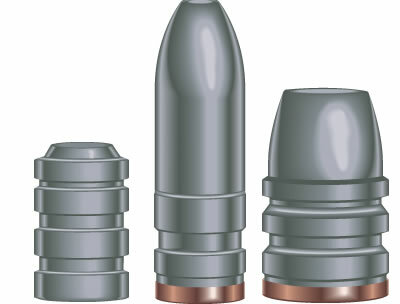 The 6x45mm cartridge has the 6mm-223 Remington name attached to it sometimes. The designer of a specific cartridge put some logic in to the name of his creation but we don’t know if he talks about the diameter in the gun barrel (two of them) or the bullet diameter or something else. So..Do we learn something here? I hope so. I hope that you learnt not to trust the name of your cartridge, read and measure to know what diameter your bullet has to be and what case you going to use. Knowledge isn’t heavy to carry, try to load on as much as you can!